I realize that this joke is probably two or three years late. What can I say, I didn't have a blog two or three years ago. 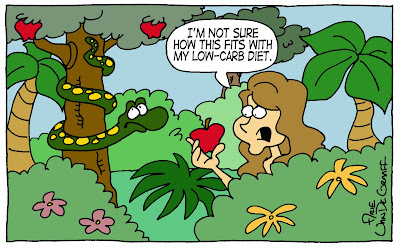 I always thought it would be funny if Eve asked if there was a Yellow or Green apple instead of a Red one.